(AP) WASHINGTON - U.S. employers created 69,000 jobs in May, the fewest in a year, and the unemployment rate ticked up. The dismal jobs figures could fan fears that the economy is sputtering. The Labor Department also says the economy created far fewer jobs in the previous two months than first thought. It revised those figures down to show 49,000 fewer jobs created. 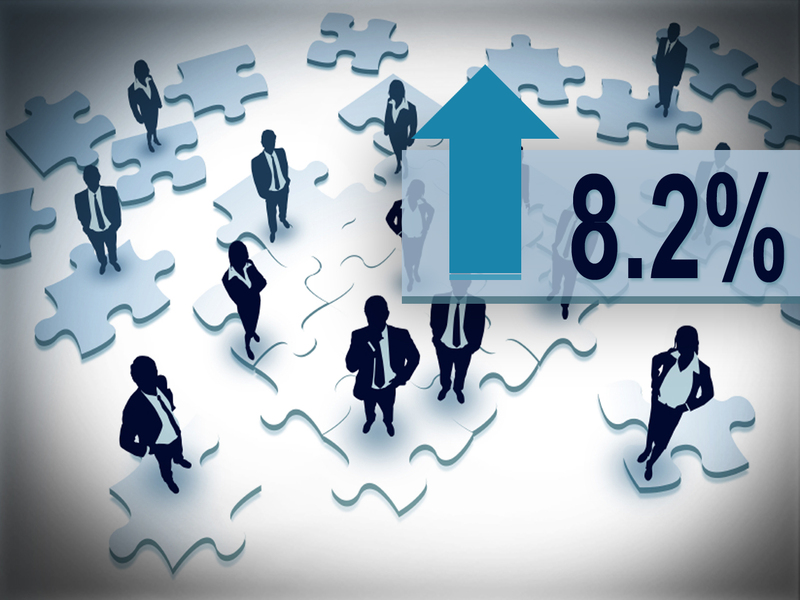 The unemployment rate rose to 8.2 percent from 8.1 percent in April, the first increase in 11 months. Dow Jones industrial average futures, which were already down 100 points before the report, fell an additional 100 points within minutes of its release. The yield on the benchmark on the 10-year Treasury note plunged to 1.46 percent, the lowest on record, suggesting investors are flocking to the safety of U.S. government bonds. The price of gold, which was trading at about $1,550 an ounce before the report, shot up $30. For much of the past three years, investors have seen gold as a safe place to put their money during turbulent economic times. The economy is averaging just 73,000 jobs per month over the past two months - roughly a third of 226,000 jobs created per month in the January-March quarter. There are signs business confidence is waning. Companies have cut their spending on computers and machinery for two straight months, goods that signal investment plans. And some regional surveys suggest the factory activity is expanding at a slower pace. Consumers are also more downbeat about the economy, according to some a May survey from the Conference Board. That could lead more Americans to cut back on spending, which drives 70 percent of economic growth. Construction jobs plummeted 28,000, the steepest drop in two years. Professional services, government, hotels, restaurants and other leisure industries. Businesses are facing a growing threat from Europe's financial crisis, which has worsened in recent weeks. The crisis is driving up borrowing costs for Spain and Italy and spreading to the banking system. Greece could be forced to exit the euro, which could push the region into a sharp recession. That could limit U.S. growth.